Based in Potchefstroom, in the North West province of South Africa, AV Light Steel Proprietary Limited is a Level 1 BBBEE light steel manufacturing company and leading supplier of lightweight steel roof trusses, floor joists, structures and associated products in various materials and profiles. Providing service excellence, competitive prices and superb product ranges, the company’s proudly South African products are supplied to a range of clientele in the SADC region including Namibia, Botswana, Swaziland, Mozambique, .Zimbabwe, Zambia, Malawi, Angola and DRC. 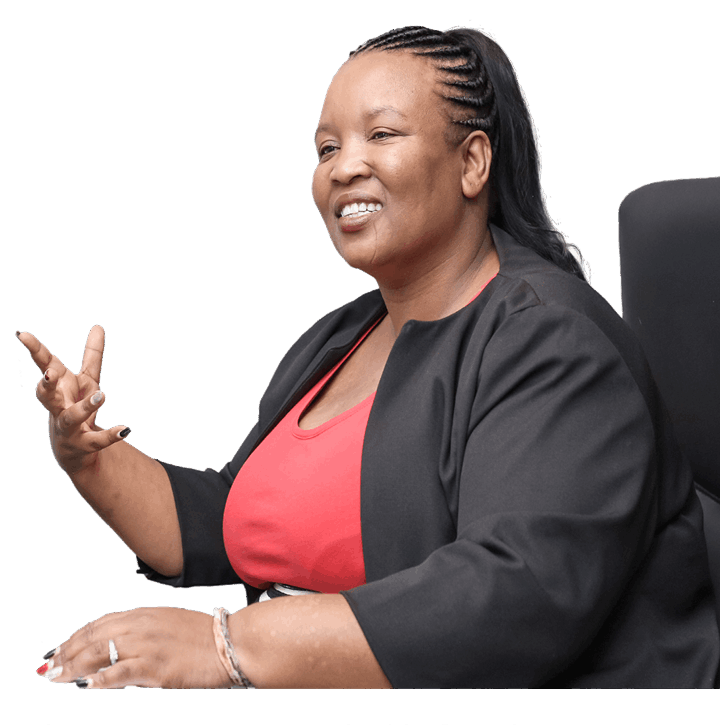 Top Empowerment spoke to AV Light Steel CEO, Lebogang Zulu. When she was introduced to lternative building technologies by her good friend, the Bafana Bafana footballer, Shoes Moshoeu, a wide horizon of endless possibilities opened up. At the time she was working for Eskom and was a trainee power station manager. The comfort of a secure job was, however, not for this energetic powerhouse. “That is my biggest fear – to become complacent,” she says. “When I started my own construction company, I wanted to do my own thing. 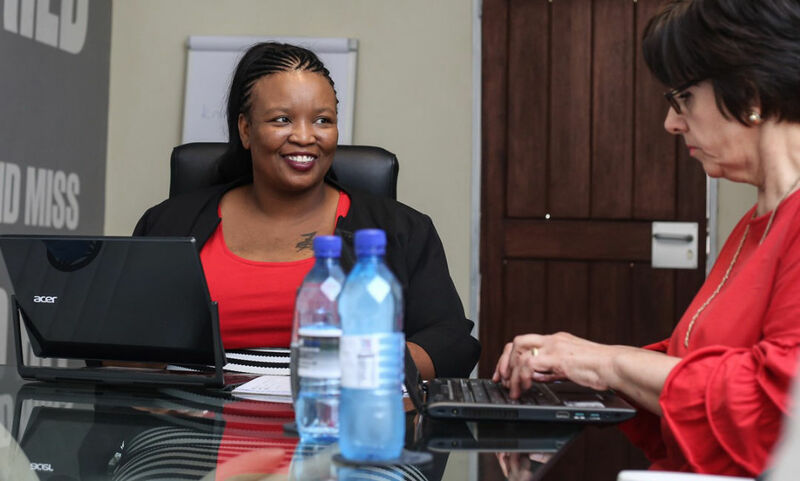 Her first breakthrough came with the Independent Development Trust (IDT) for which her company completed four new schools Lebogang realised early that she is not only selling classrooms, schools, houses or even high rise buildings. “We are selling time, quality and energy efficiency.” She explains that building a new school with brick and mortar would take two years. “We do a full new school in a space of 8 months. She regards the first six years of construction as a preparation to venture into manufacturing. In 2017 Lebogang bought AV Light Steel of Potchefstroom from Vincent Bender, her preferred supplier of roof trusses. Of the 40 licences government has granted to manufacture Innovative Building Technology (IBT) materials, 36 are in the Western Cape and only four in the rest of the country. AV Light Steel is the only licensed manufacturer in the North West Province and is thus excellently positioned .to fill a huge need in the Northern provinces. To expand the company to manufacture other elements of construction, she applied for hree loans. Two were from government funded entities and one from a commercial bank. All three were approved. The scheme of the Department of Trade and Industry (DTI) to fund black industrialists in mining and manufacturing granted AV Light Steel R40 million on the basis of 50/50 cost sharing. This means that AV Light Steel needed to make an investment of at least R80 .million to access the funds. The first co-funder was ABSA who granted AV Light .Steel a loan of R15 million The second loan was from the Industrial Development Corporation (IDC) who loaned R61 million at an interest rate of prime minus 2% considering the employment creation aspects of the company’s expansion plan AV Light Steel was only the second company to be funded by DTI Black Industrialists Scheme in the Northwest. 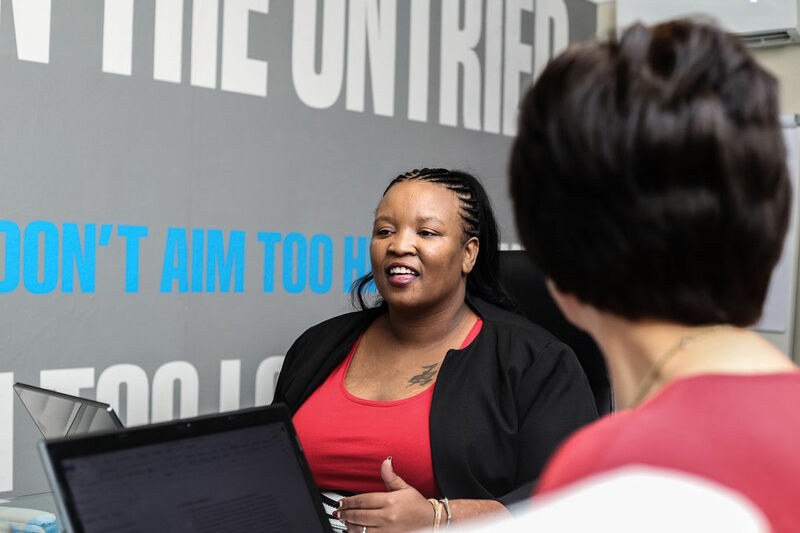 “It’s a big feather in our cap,” says Lebogang with a huge smile The application process took a lot of hard work, persistence and perseverance. “I have one thing in my favour,” says Lebogang. “I am very passionate about what I do. I look forward to transforming not just the construction industry but innovative building industry as a whole. You will not move me away from the alternative building space. With the huge backlogs in critical social infrastructure, IBT is the solution It took about 15 months to secure the Loans. Apart from refurbishing the factory, six machines were bought from overseas.The first was delivered in the third week of February 2019. By end of April the factory should be fully operational, manufacturing the Fortis building system, apart from roof trusses and sheeting. Over the past few years there were many successes and challenges The biggest challenge was to get support and buy-in from both the private sector and Government as far as IBT is concerned. According to Lebogang there are not many platforms where the industry can share knowledge with government regarding IBT. Lebogang still experiences apprehension when she, as a woman, steps into a male dominated meeting. “In the first few minutes I have to convince them that I know what I am talking about, before I can start giving a report!” says Lebogang indignantly. “This wastes valuable time and would not be the case if I was a male”. buildings as a clinic costs the same as the ”costs and operation of a mobile clinic. IBT ticks all the boxes as far as energy efficiency is concerned. Walls and roofs are well Insulated, to keep the structure cool in summer and warm in winter. Careful consideration is given to fenestration, which includes the placing of windows. 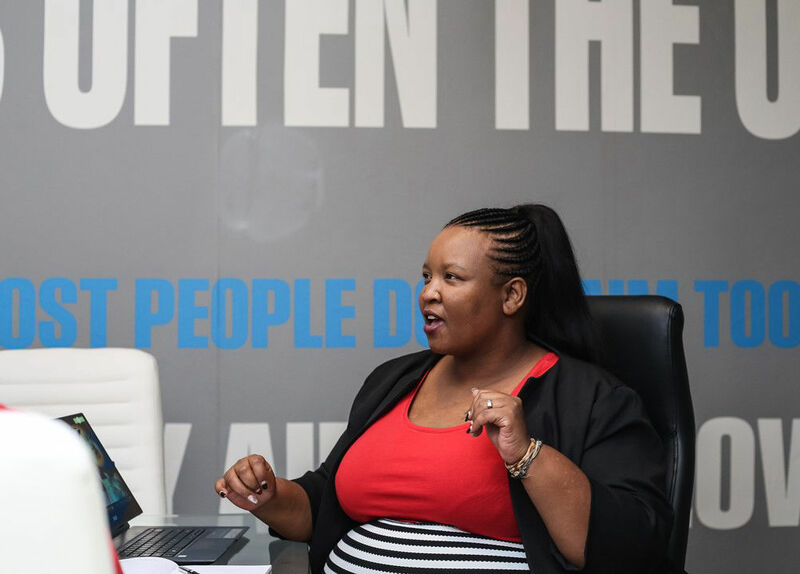 Lebogang is very clear about her vision for the company in the next five years We want to build at least three other manufacturing“ facilities in other parts of the country. We cannot supply KZN from the North West Province, the transport will kill the client We want to train at least 30 to 40 contractors to use“ IBT and have them certified. Part of our vision is to supply materials Africa wide. We want to be part of an effort to take South Africa from a consumer society to more manufacturing and .export. Lebogang Zulu was born in KwaThema, Springs. She studied mechanical engineering at the Peninsula Technicon in Cape Town and also holds a Master’s degree in Construction Management. She has two children, a daughter who is studying medicine and a six year old boy in Grade 1.